I am very excited to be collaborating with Mastermind Toys for their Tie On Some Goodness campaign this holiday season! Mastermind Toys recently opened in my city, and we couldn't love it more! 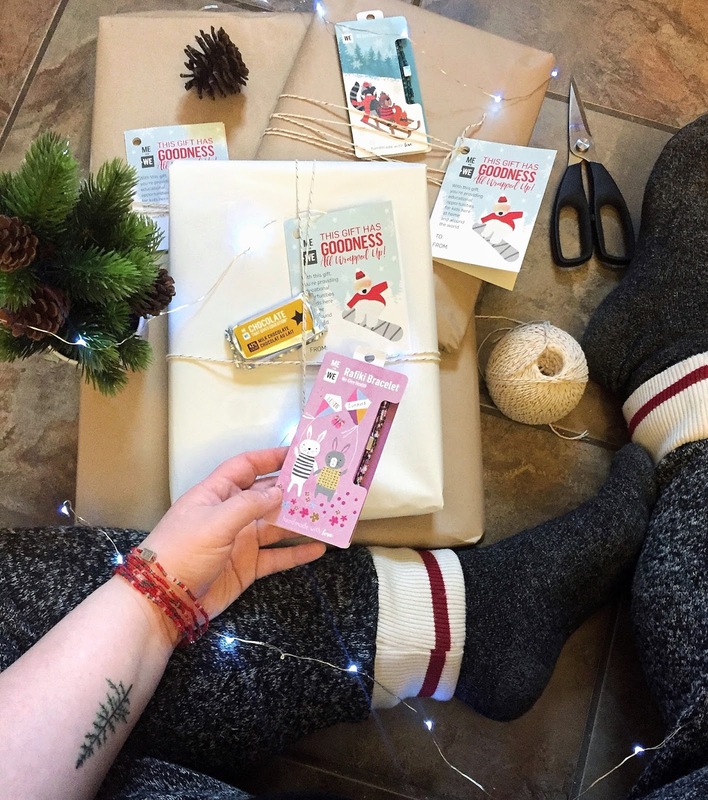 This holiday season you can tie on some goodness and give back with Mastermind toys! Add a little something extra to your gifts by topping them with a Rafiki Bracelet- there are 2 new styles for holiday 2017! Your $10 purchase helps provide resources via ME to WE for communities in need. I am wearing one in this photo, and absolutely love it! 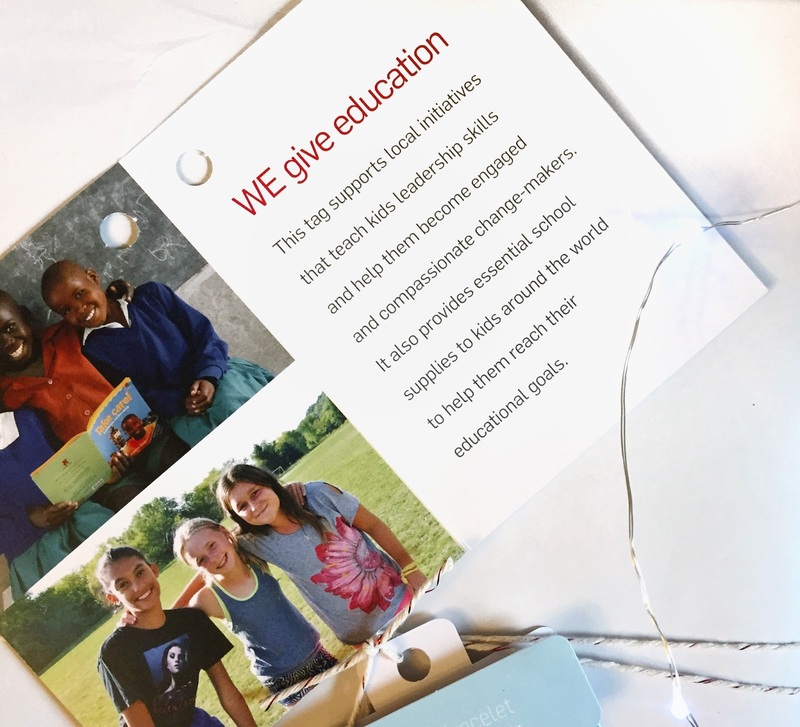 By adding a $2 gift tag, your gift for a loved one will double as the gift of education for kids in Canada and around the world. New this year is ME to WE gift boxes of chocolate! I've personally tried it, and its amazing! 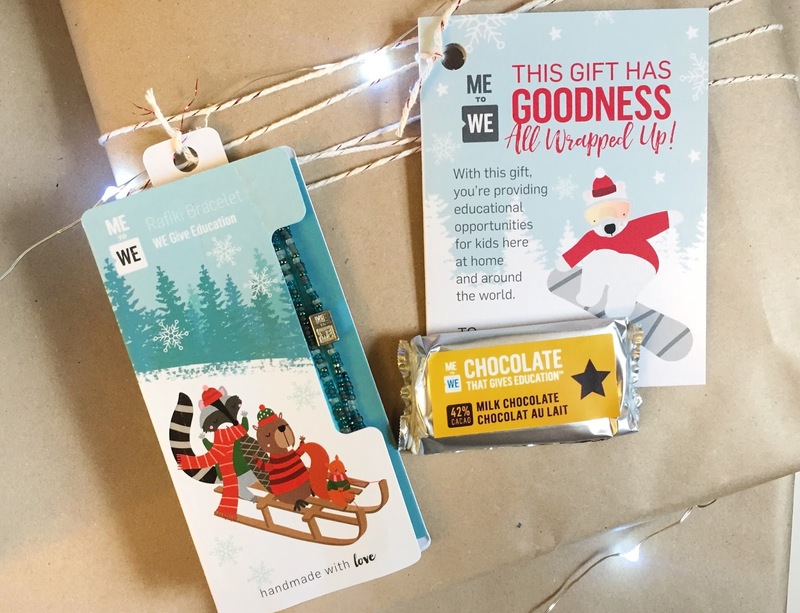 These chocolates create fair-wage jobs in Ecuador, and the proceeds of which provide educational resources to communities in need!